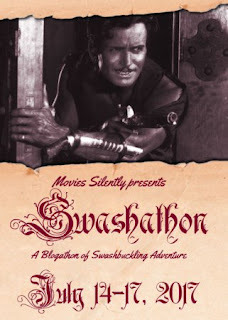 This is my entry in the Swashathon (a Swashbuckler Blogathon) hosted by Movies Silently. 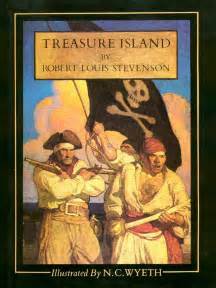 The pirate of fiction owes a great debt to Robert Louis Stevenson's classic adventure novel Treasure Island. That book introduced such memorable tropes of the pirate legend as buried treasure and the charismatic but still cutthroat pirate. (I honestly don't remember any scene of "walking the plank" in the book, but even that is legendary.) 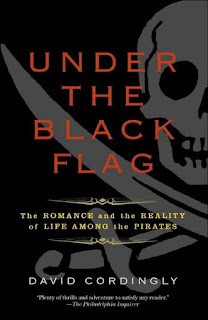 I mention this because a true history of the pirate reveals that such things were either rare or non-existent in the real pirate world. 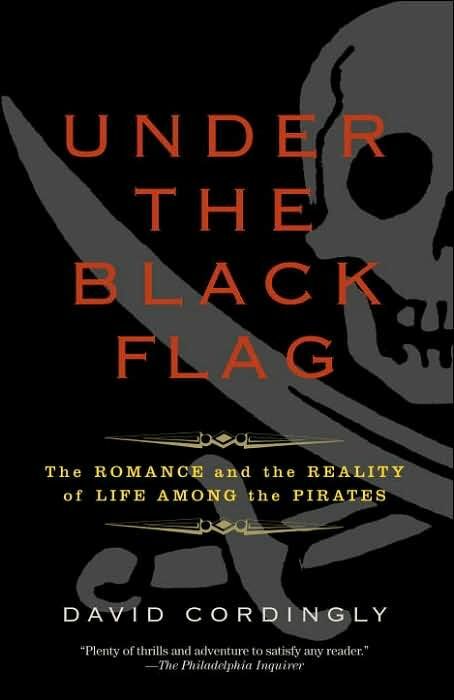 According to David Cordingly in his very fascinating and readable history of the pirate, Under the Black Flag, pirates rarely buried their treasure. In fact, according to his research, they dealt more in trading goods like fabrics and other goods rather than "booty". They also didn't do such niceties like making a prisoner "walk the plank". Instead they just chopped them to pieces and threw the bodies overboard. They were, in contrast to most pirate films, not nice at all. The film world has had a history of making pirates out to be heroes or at least anti-heroes. The pirate of film is quite often someone you could be buddy-buddy with, despite his affinity for being on the wrong side of the law. And even that is not entirely true about the pirate of history. Some pirates were actually on the "side of the law", so to speak. The age of the pirate was also the age of great conflicts among nations, and some pirates of history were actually privateers, which is a nicer appellation, since privateers were pirates who had been given authority by the ruler of one country to attack enemy vessels. Sort of like a renegade version of a Navy, in that respect. When Hollywood came to call, however, the pirate was essentially transformed into a charismatic hero. The pirate was often a misunderstood romantic hero who had a secret past that sent him into piracy. Even somewhat ruthless pirates were not all that "ruthless". Case in point, just about every portrayal of Long John Silver in film shows him to be even a likable character, despite his, and his comrades-in-arms', intentions. 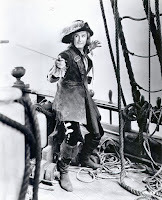 Near as I can tell, the first portrayal of a pirate on film was The Pirate's Gold, a D.W. Griffith directed short film from 1908. 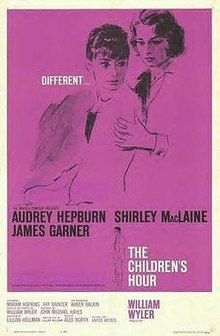 It starred, probably, nobody you've ever heard of, and the plot is fairly melodramatic, as was typical of dramas in the early years. Three pirates come ashore with their booty and end up killing each other. The last pirate manages to have a local woman hide the booty before he dies, but she is killed by lightning. So the treasure is lost forever...or is it? Treasure Island, of course, has been filmed countless times. The story, in case you didn't know, involves a young boy who comes into ownership of a map, that leads to the hidden treasure of Captain Flint. 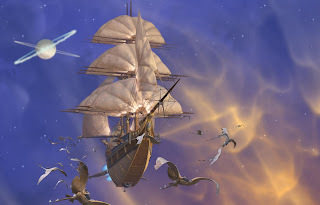 Along with Dr. Livesey and Squire Trelawney, and a bunch of brigands, including Long John Silver who manage to pass themselves off as honest seamen, set course for the island where the treasure is buried. Hollywood came to call first in 1912, with a very early version of the book. It was only a short film (which probably means 15 minutes or so), and I think it may be a "lost" film. I can't find much on it. But, needless to say, Tinseltown would milk this story for all it was worth over the next 100+ years. 1920 even saw a version with a female, Shirley Mason, in the role of Jim Hawkins. In 1934, what some believe may be the definitive version of the story was filmed., with Jackie Cooper as young Jim Hawkins and Wallace Beery as Long John. I think Cooper is a bit over-exuberant in the film, and although Beery is good, I personally don't agree with that sentiment that it is "the best version". My personal favorite is the one that came a few years later, in 1950. 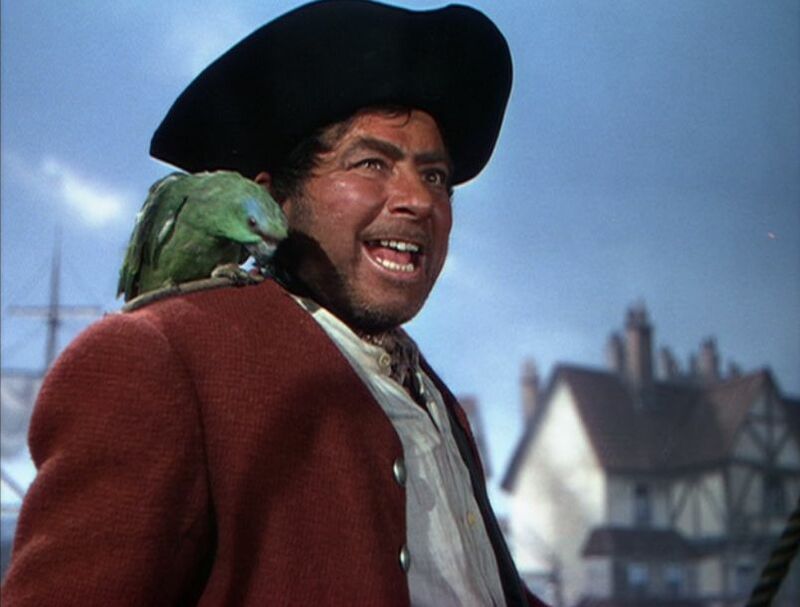 This one starred Robert Newton as Long John, and I personally love the version he brings to the big screen. It also starred Bobby Driscoll has Jim. Coming back to the same well, again and again, the story has been told in animated form with cartoon characters. 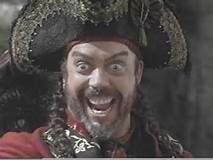 It has been done with the Muppets, Muppet Treasure Island, (featuring a fantastically funny Tim Curry in the role of Long John). And in places other than Hollywood, it has also been a popular source. Soviet Russia and Japan both got into the mix. The Russian version, in particular, is supposed to be rather faithful to the original story. But Treasure Island was not the only well from which Hollywood and the film industry drew inspiration. 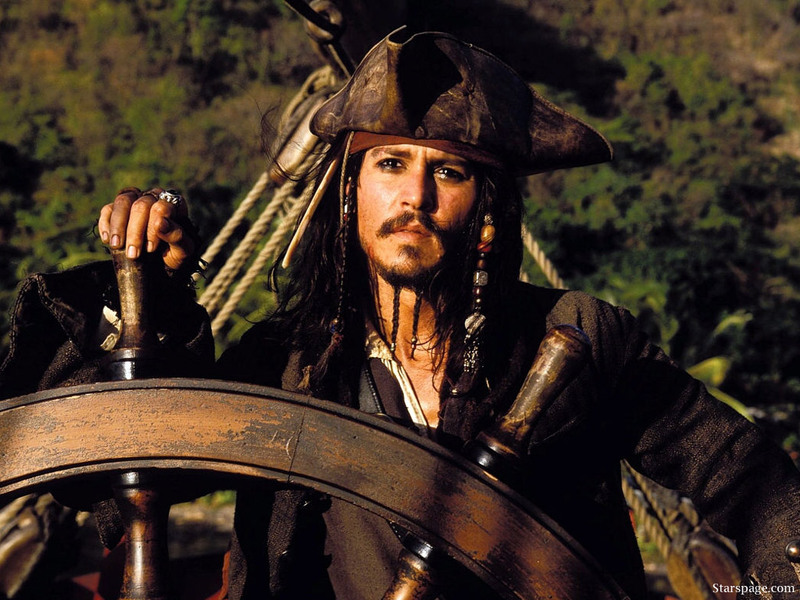 Since the pirate was a adventurous hero in several novels, it stands to reason that those same heroes would make their way to the big screen, too. 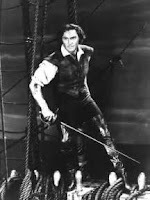 Rafael Sabatini, an author of Italian descent, wrote two novels that eventually became fodder for films; The Sea Hawk and Captain Blood. 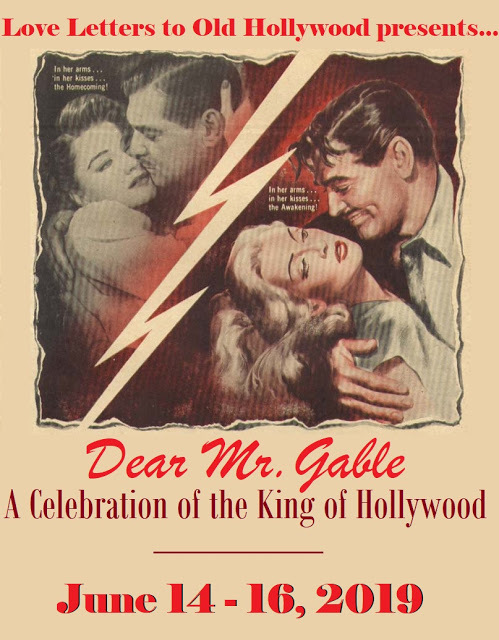 Both of these movies featured Errol Flynn in the title roles. Flynn pretty much made the character of a dashing devil-may-care pirate a standard for much of the rest of pirate film history. You can see elements of Flynn in Johnny Depp's portrayal of Captain Jack Sparrow in the Pirates of the Caribbean films. Another classic pirate crops up in the numerous versions down through the years of Peter Pan. 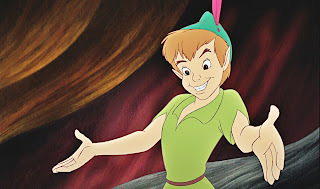 Pan is ostensibly the main character in these films, but on several occasions, the actor playing Captain Hook, the pirate nemesis of Pan, shines much brighter. 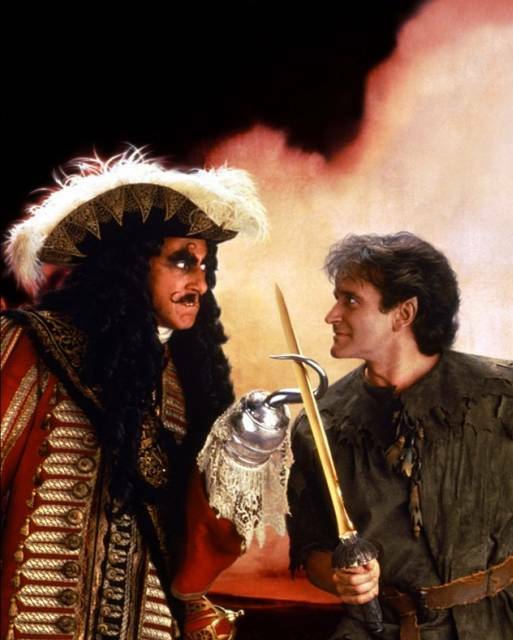 The story, written by J. M. Barrie, first appeared on stage, but it was Hollywood that really set the bar for Hook. Peter Pan was first filmed in 1924 as a silent movie, and again as a Disney animated film in 1953. Live action versions didn't really take off until 1991 when Robin Williams (as Pan) and Dustin Hoffman (as Hook) made its way to the big screen in Hook. 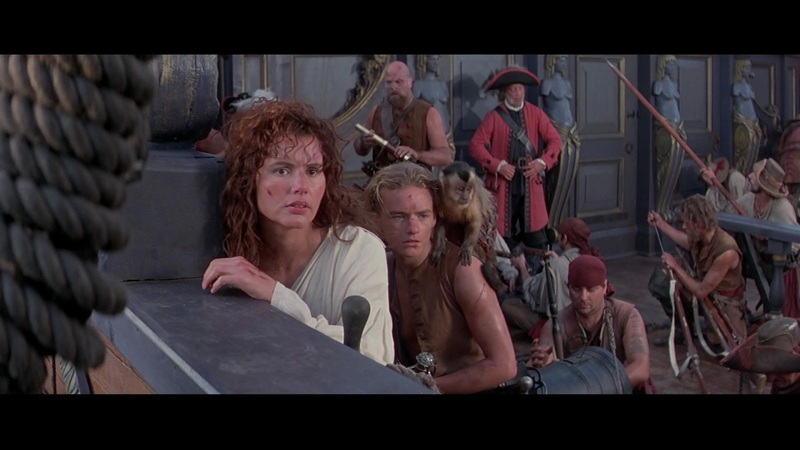 As it's title foreshadows, the real star of the movie is Hoffman as the ultimate pirate. Hoffman really shines in what is otherwise a fairly shoddy production. And speaking of animated pirates, besides the aforementioned cartoon version of Peter Pan (and a couple more attempts at animating said same), several more popular series did their turns in the pirate genre. 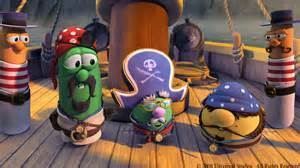 A popular Christian-themed cartoon series Veggie Tales, took its turn at the pirate theme, albeit to teach kids a Christian message. There was also film with a futuristic tinge, Treasure Planet, a variation of the previously mentioned Treasure Island story, only in space. 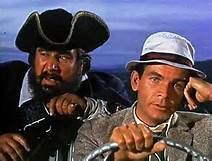 A movie (actually three movies, but the most commonly remembered one is the 1960 version) that was filmed from a classic children's story, Swiss Family Robinson, focused on a family who had direct dealings with some rather nefarious pirates. 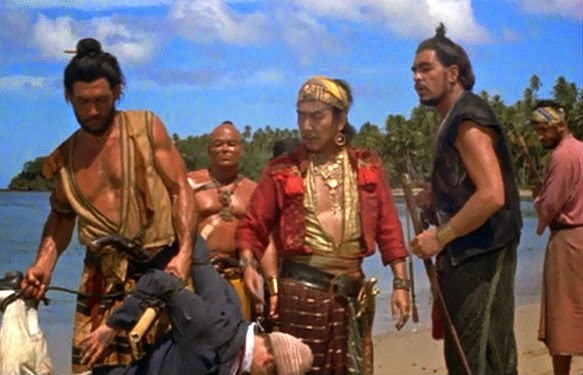 The pirates in this film are not antiheroes in any sense of the word, but are devilish nemeses for the Robinson family, proving to be the alternative to many of the pirates portrayed in films discussed here. 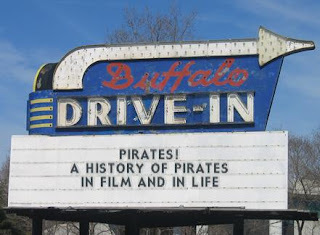 Pirates have been the subject of musicals on film, too. Sometimes really poor, such as The Pirate Movie, (which was loosely based on the classic Gilbert and Sullivan musical, The Pirates of Penzance) which starred Christopher Atkins and Kristy MacNichol. 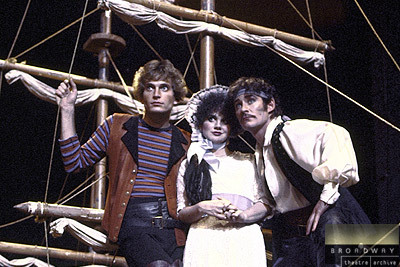 Speaking of the Gilbert and Sullivan musical, it has been filmed also, a fairly good version, too, with Linda Rondstat, Angela Lansbury, and a remarkably good (and unexpected, by me) singing performance by Kevin Kline. Not all pirates have been of a historical nature. One of my favorite childhood movies was Blackbeard's Ghost, in which a modern day man, while futzing around with a spell book he find's in an old inn, raises the ghost of Blackbeard, played by Peter Ustinov. This pirate was strictly for laughs, as was usual with the Disney movies of old. He plays a drunken, inept character who constantly gets Dean Jones' character, Steve, in trouble, emphasized by the fact that only Steve can see him. And comedy plays a part in a few other entries in the pirate genre. The comedy team of Bud Abbott and Lou Costello meet a notorious pirate in the historical setting of the late 18th century in Abbott and Costello Meet Captain Kidd. 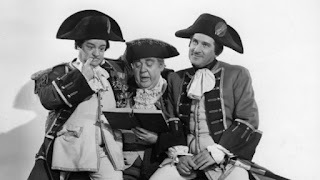 In this entry, the two play tavern workers who inadvertently come to loggerheads with the infamous captain, played by Charles Laughton, when Costello switches a love letter he has with the captain's treasure map. To be sure, there have been quite a number of missteps in the pirate tradition. One of the worst is Cutthroat Island, in which Geena Davis is cast as the daughter of a famous pirate seeking out a fortune with a competitor in her uncle, played by Frank Langella. Everything you've heard about this movie is true, but it's worth mentioning because it has a rather unique place to put a portion of a treasure map. Down through the years, pirates have been an inexhaustible well of inspiration. In 2006, director Gore Verbinski and oddball actor Johnny Depp created probably the most well-known pirates in recent history with a film based on the Disney theme park ride Pirates of the Caribbean. Depp's portrayal of Jack Sparrow brings full circle the pirate as he was first popularly portrayed in the 30's as a romantic yet morally flawed antihero. The original, subtitled The Curse of the Black Pearl, has spawned four sequels, two of which continued the Verbinski/Depp pairing while the other two, although still including Depp. lacked Verbinski's vision as a director. This is only a smattering of the tales of pirates that Hollywood has produced thus far. To be sure there are hundreds I have left out. 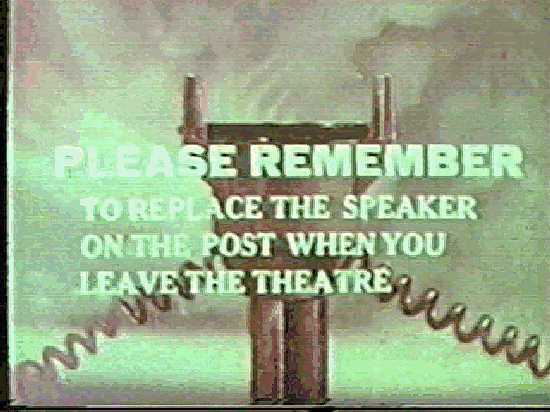 Nor will this be an end to the movie pirate. At the time of this writing a film version of a novel published posthumously in 2009 by the great Michael Crichton, Pirate Latitudes, is in development. And I feel certain within the next year or so another Pirates of the Caribbean will be forthcoming. And someone is bound to try another hand at one or both of the classic box-office pirate draws of Peter Pan and/or Treasure Island. Until then, happy sailing, kiddies. I hit the wrong button, now I don't know how to get it back... Sorry about that. It wasn't intentional. Thanks so much for joining in with the whirlwind tour of cinematic pirates! It's so fascinating how movies essentially created a culture that never really existed. (As they did with most things, French filmmakers beat D.W. Griffith to the punch by a few years. French pirates? Oui oui!) Lovely to have you aboard, matey! I just wish it could have been more in depth. But then I wasn't trying to write a book. Thanks for reading. 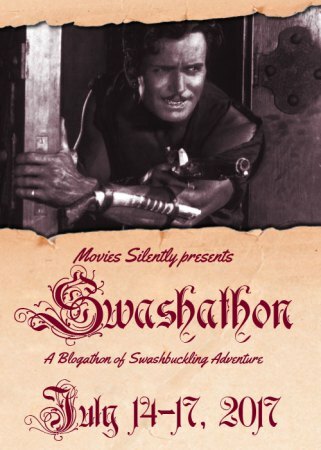 I love a pirate movie, and I love your article. You captured the high-spirited fun to be found in losing ourselves in these adventures. Re: Treasure Island, my favourite version may be the Classics Illustrated comic I wore out as a kid. Favourite movie version is the one from 1990 with Charlton Heston as Long John Silver. Favourite opening has to be Muppet Treasure Island. I used to be a pirate on Hallowe'en. I had a puffy sleeved shirt, and wore a bandana. If I wore pants and carried a cardboard sword I was a pirate. If I wore a skirt and carried a tambourine I was a gypsy. Gee, I wonder if there were any gypsy pirates. I probably dressed as a pirate at least once at Halloween, but I'm so old I can't remember... Thanks for reading. Hi Quiggy. I agree with you, Robert Newton was the best Long John Silver. I enjoyed your survey of pirates over the years. I think I read Treasure Island at school many years ago, but I haven't watched any film version. 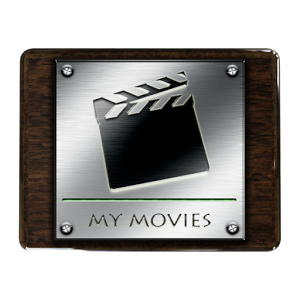 Your post talked about so many cool movies, like Swiss Family Robinson (I believe the real pirates were closer to what they look like now) and Blackbeard's Ghost (that's not so much fun like the first, I found it only OK). You ought to see at least one Treasure Island before you die... :-) If nothing else, the Muppets' one is rather entertaining. 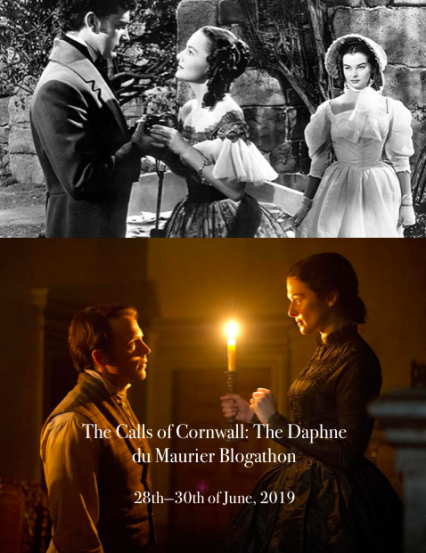 And the Newton/Driscoll one, if you like your movies to be faithful to the book. And re-reading the book is always a good bet too. I did tat just last year. Thanks for reading. Treasure Island is one of my favorite books, and I appeared in a children's theater production of it years ago. Great story! I can't decide which movie version I like best, they are all awesome. 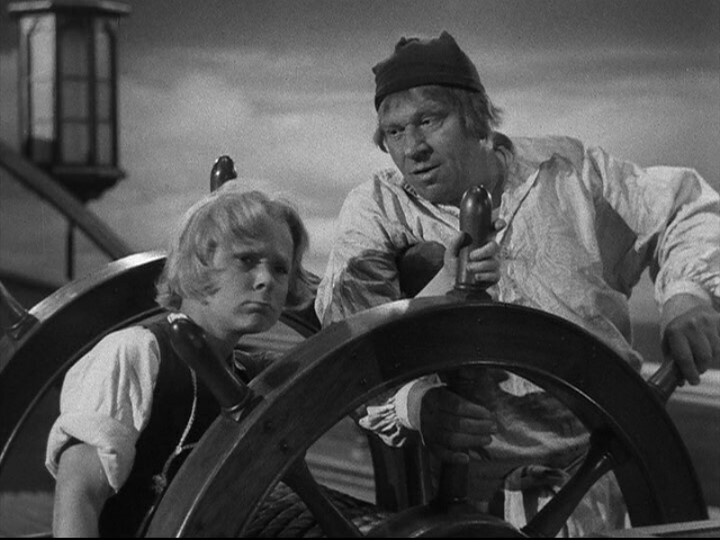 Maybe Jackie Cooper and Wallace Beery from the 30s? I can't get past Cooper's golly gee whiz performance to like the Beery one much, but Beery was great in it. Thanks for reading.